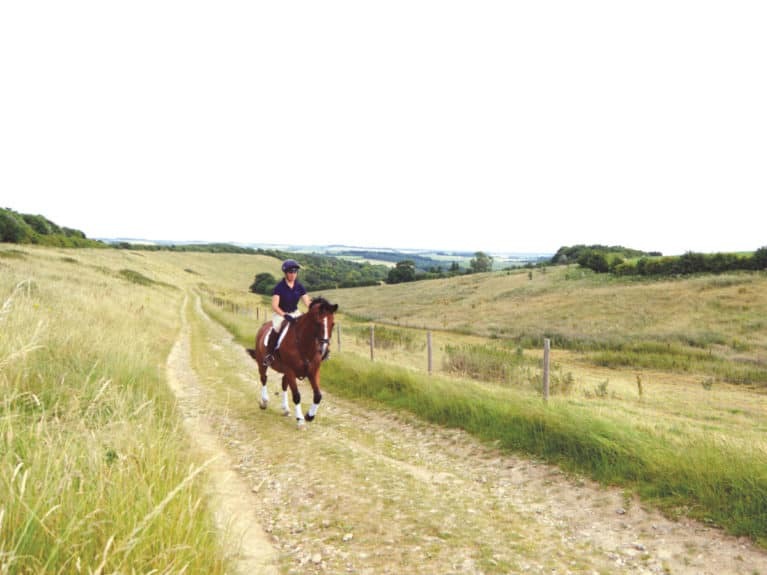 Hills – big or small, steep or gradual – are great for building your horse’s fitness. 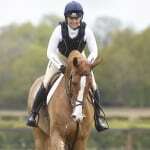 You can tackle them at walk, trot or canter, depending on the ground. 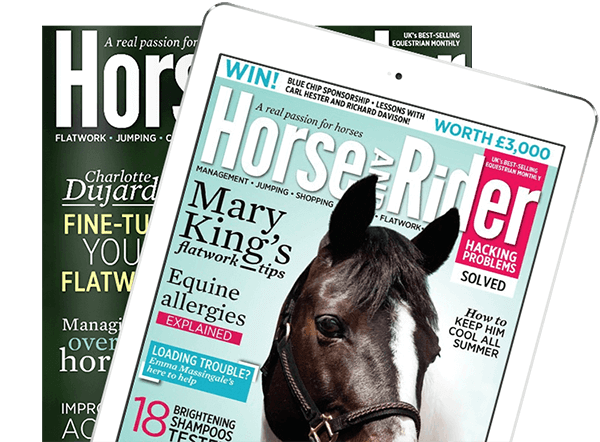 A long, shallow incline is ideal for a power walk or trot, whereas shorter, steeper hills are often better approached in trot or canter – in either case, your horse will really have to engage his hindquarters. 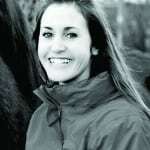 Downhill stretches are a good way to help your horse improve his balance because they require his muscles to contract in a different way. Although it’s best to begin slowly, most hills are ridable at a faster pace, depending on steepness and footing. 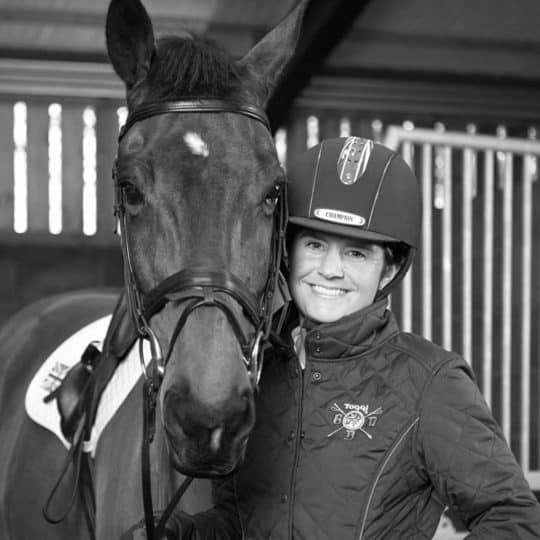 Judge your speed on your horse – you’ll be able to tell how he’s is coping. 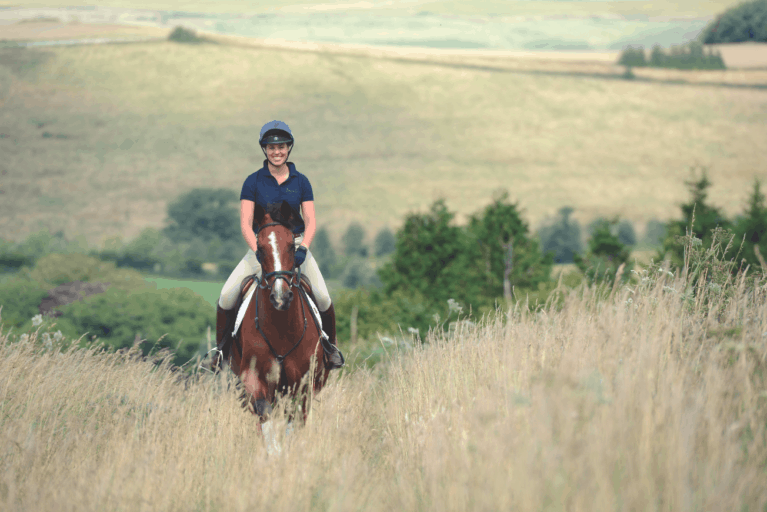 If you have an area on the side of a hill that’s large enough to ride turns and circles, this is a great opportunity to test control and balance – you might turn up to a dressage test on grass one day where the ground isn’t as flat as you’d expected, especially if you’re eventing, but you’ll be ready for it. Focus on keeping a consistent rhythm and preventing his downhill shoulder from falling in or out. 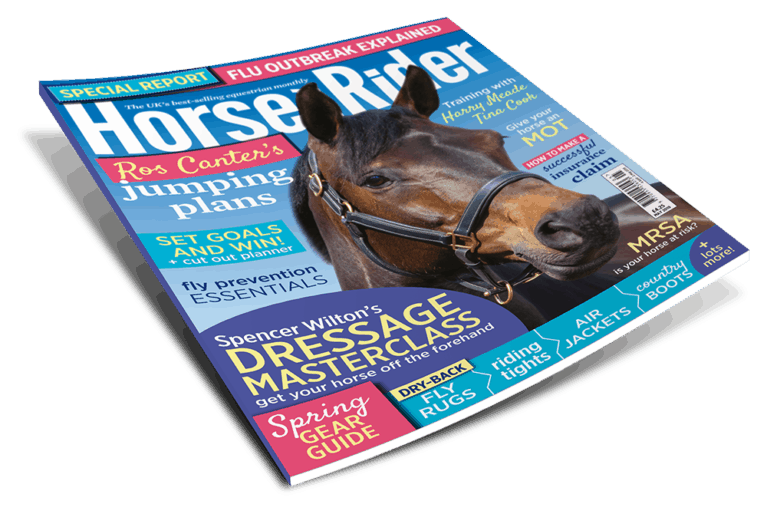 Take the opportunity to desensitise your horse to novel sights, sounds and smells. If you can do this a little bit at a time and in lots of different places, when you get to a big show it won’t be overwhelming and he’ll take it in his stride. 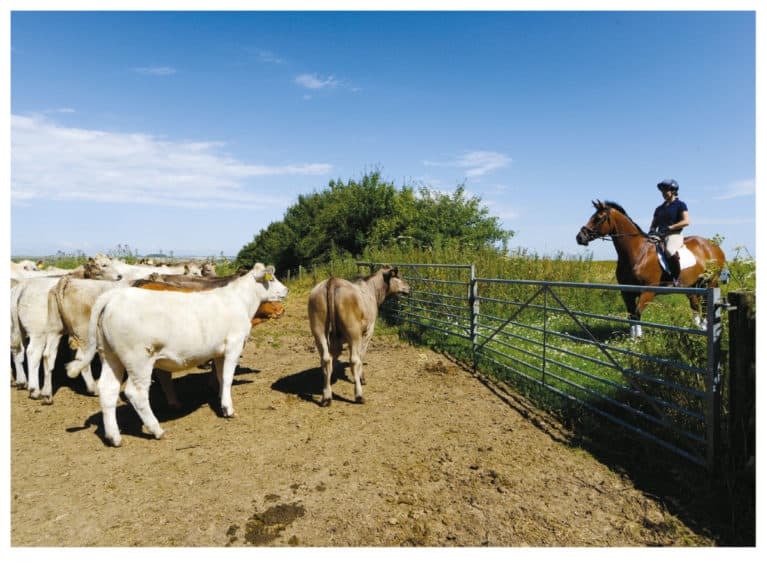 You might come across farm machinery or livestock and, unlike with traffic, you’ll have the time and space to hang around and ride nearby for a bit, allowing your horse to become accustomed to the novel object or animal. 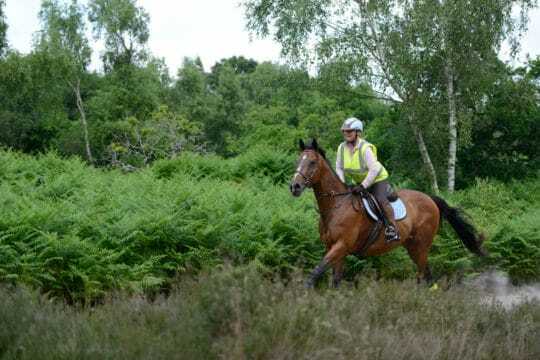 Top tip – Only venture off bridleways if you have permission to ride there. Take advantage of natural lines and obstacles. When you’re hacking, a tree isn’t just a tree, it’s a marker. Rather than riding past it without another thought, ride a transition between or within the pace, or a halt, at it. If there’s space, you can ride a circle using it as the centre point. Top tip – Natural obstacles such as logs may be okay to jump, but remember to check the landing and take-off first. 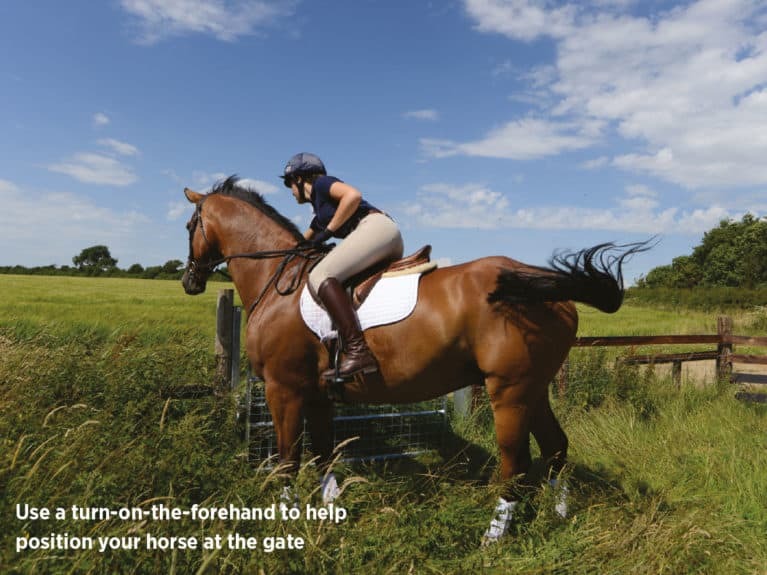 Gates might seem like a hindrance on your hack, but they’re actually a great opportunity to work on a turn-on-the-forehand and teach your horse to listen to very quiet aids. 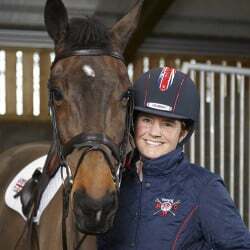 It can take quite a bit of practice but, if you’re consistent in your training and practise regularly, your horse will soon learn what it is you want him to do. 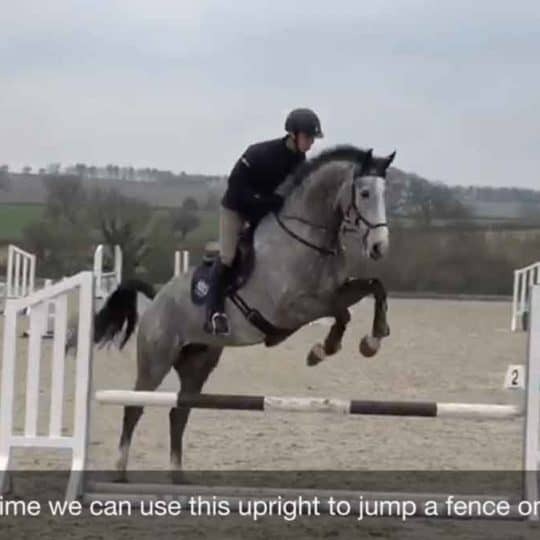 Rather than spending a lot of time to-ing and fro-ing trying to get your horse close enough to the gate, riding a turn-on-the-forehand to line him up is much more efficient and is great for keeping him supple, too. Avoid sticking to the same ground. If you can, seek out different surfaces – for example, sand, tarmac, grass or gravel. 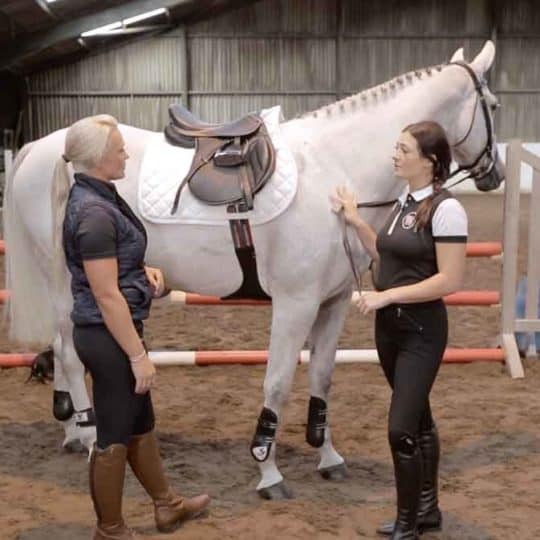 Working your horse on different surfaces will improve his proprioception (awareness of where his body is) and co-ordination, which will improve his ability to move over a range of terrains. 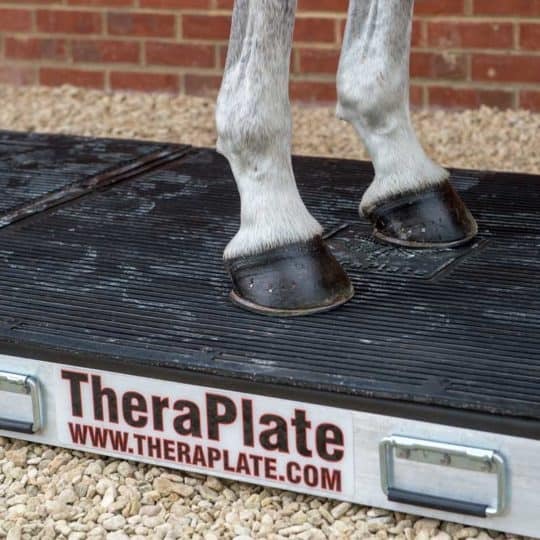 If your horse is used to moving over a variety of surfaces other than an arena, when you take him to a competition and the footing isn’t the same as at home, he’ll be able to perform much better. Top tip – Walking through puddles and streams is great practice for cross-country, too. 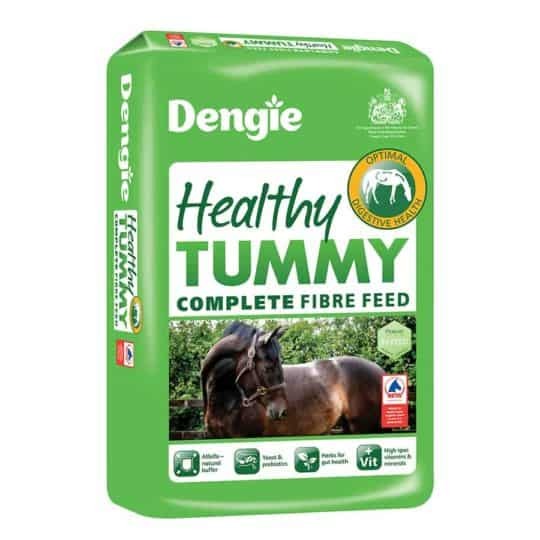 Riding through long grass will tickle your horse’s legs and belly, encouraging him to lift his legs and work better. Anywhere there’s enough space can become a make-shift school. 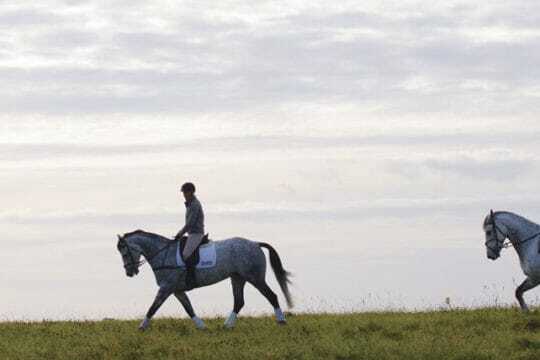 Your horse will probably work better because he’s out somewhere different. 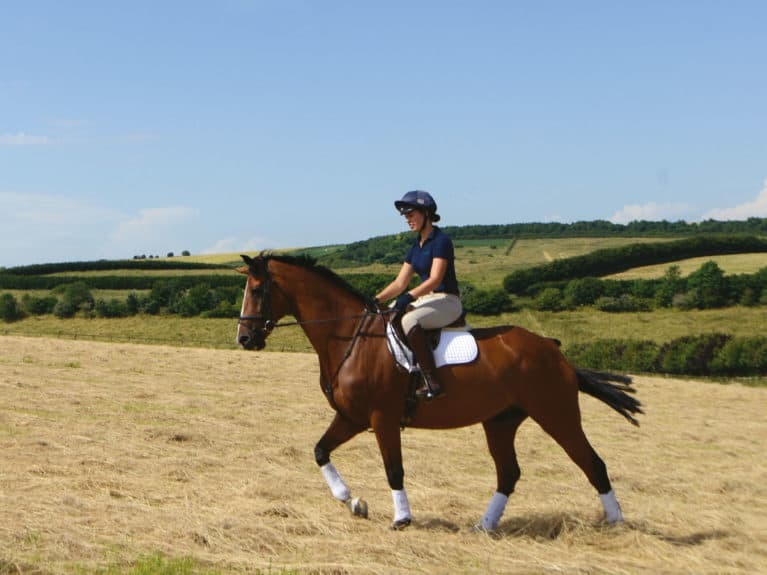 Use this space to practise a test or plan an individual show routine, then continue your hack. Working him like this in short bursts will help to keep his attention and enthusiasm for work. There won’t be any walls or fences for him to stick to either, so he’ll really have to work on being straight. will help to keep his brain ticking over, too. So why wait? Try them out on your next ride! 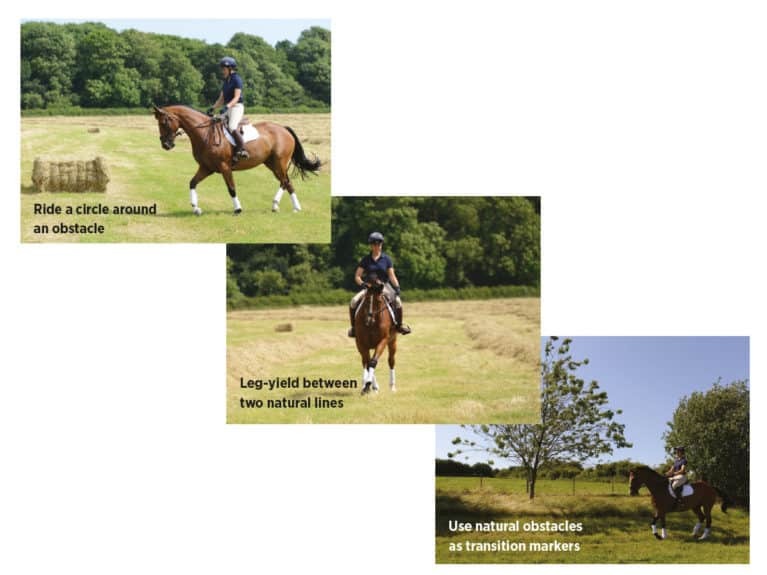 Top tip – Change your diagonal regularly to keep your horse working evenly.